An elegantly designed De Mattei custom home located in a tranquil corner of downtown Los Gatos. 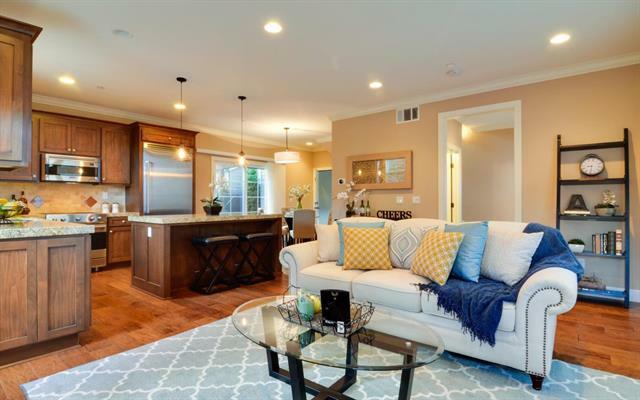 This modern home features 3 beds & 2.5 baths in 1,657 luxurious sq ft of living space. An open floor plan with a gourmet kitchen, spacious master suite, hardwood floors, Hunter Douglas window treatments, California Closets & much more. Relax in the remodeled front & back patio areas that include overhead gazebos, water features & bench seating. Walk to shops, restaurants & parks. Excellent Los Gatos schools!